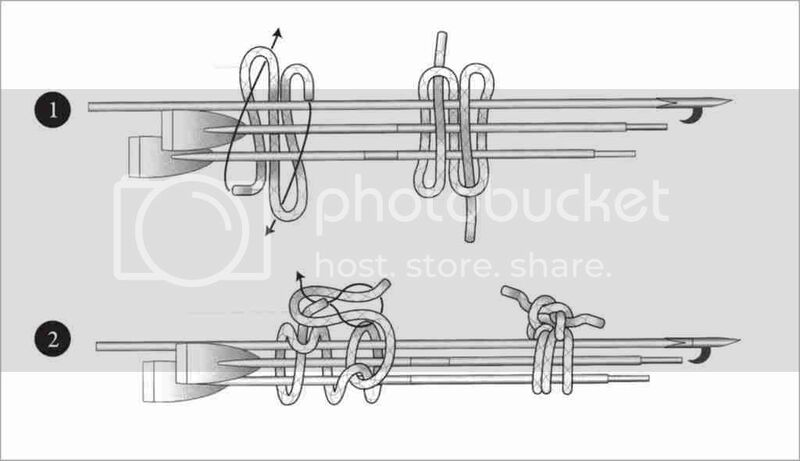 Aplications : The pole hitch is a gathering and binding knot. A pair of these will hold assorted long objects. Method : Arrange the cord in an S- or Z-shape beneath the assembled objects, and tuck both ends through opposite bights (1). Draw tight and tie off with a reef knot (2).